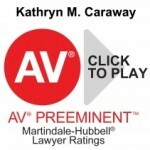 K aty Caraway is an AV rated experienced litigator who has focused on personal injury, risk management and medical malpractice matters. Ms. Caraway has represented individual, corporate and government clients and has tried cases in both state and federal courts. She has presented seminars to lawyers and healthcare professionals on a variety of legal and ethical issues. Ms. Caraway attended Tulane University where she earned her BA in Communications. For approximately 10 years, she worked as a radio news reporter, news anchor, and talk show host at WTIX, WLMG and WWL. While still working as a journalist, she started her legal studies at Loyola Law School. Ms. Caraway was a Moot Court teaching assistant, competed twice with Loyola’s Spring Team and graduated in the top 25% of her class in 1991. Ms. Caraway is a member of the Louisiana Bar Association, the Louisiana Hospital Association and the Defense Research Institute. She serves on the Board of Directors of Belle Reve, an assisted living facility for individuals and families living with HIV-AIDS. She continues to be involved with the media and is an occasional announcer at WWNO, community-supported radio. In 2012, she was designated as one of Louisiana’s Super Lawyers and named as a Top Lawyer by New Orleans Magazine. She has also been named one of the Top 50 New Orleans Attorneys by CityBusiness. 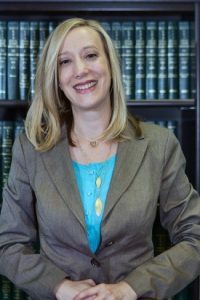 Ann Marie LeBlanc, one of the founding members of Caraway LeBlanc, is an AV rated experienced litigator in the area of medical malpractice and commercial liability law. She has focused her practice on the defense of hospitals, nursing homes, physicians and other health care professionals. She has also defended the Patient’s Compensation Fund in claims for excess damages. 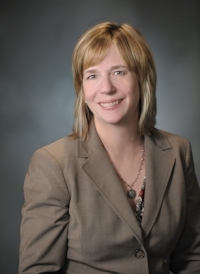 Ms. LeBlanc has represented parties in complex and high profile personal litigation. She has given a number of lectures on medical malpractice related issues. In addition, Ms. LeBlanc has represented nursing homes in regulatory matters, including the defense of state survey related deficiencies and penalties imposed by CMS. She has also represented health care providers in an advisory capacity, providing counsel on such areas as risk management, and the drafting of agency nurse contracts and admission agreements. Ms. LeBlanc prides herself in representing her clients competently and efficiently and, where possible, obtaining early dismissal of cases through creative legal argument and prompt evaluation of the merits. Prior to forming Caraway LeBlanc, L.L.C. in 2007, Ms. LeBlanc was Special Counsel at Frilot Partridge in New Orleans. She graduated from Loyola Law School in 1991 where she was a member of the Loyola Law Review and Moot Court Staff. She is the author of Louisiana’s Fair Employment Statutes: A Cry for Clarity amid Expansive Federal Civil Rights Protection, 37 Loy. L. Rev. 313 (1991). Ms. LeBlanc received her undergraduate degree in Communications from Loyola University in New Orleans and worked as a broadcast journalist at the top rated radio and television stations in the city prior to obtaining her law degree. She is a member of The Bar Association of the Fifth Federal Circuit, Louisiana Bar Association and New Orleans Bar Association. Ms. LeBlanc is currently President-Elect of the Lakeview Civic Improvement Association, one of the largest civic organizations in the New Orleans metropolitan area. She was also the recipient of The Order of St. Louis IX award in 2007 from the Archdiocese of New Orleans. Ms. Leblanc was designated as one of Louisiana’s Super Lawyers in 2012. E rica Andrews, is a skilled attorney with four years of experience as a solo practitioner in various areas of law. Ms. Andrews began her solo practice in 2013 and has since successfully litigated and negotiated settlements in cases focusing on domestic law, as well as contract, employment, successions and collections matters. Named a 2014 LIFT (Legal Innovators for Tomorrow) Fellow and 2014-2016 LIFT Incubator Attorney by the Louisiana State Bar Association, she represented victims of domestic violence in family law matters. Ms. Andrews is a native of New Orleans. She earned her BA in Psychology from Tulane University and later received her Juris Doctorate from Loyola Law School’s College of Law where she served as a member of the Journal of Public Interest Law. She is currently active in the Louisiana State Bar Association, serving on the Access to Justice Committee and Gap Subcommittee, to expand access to those unable to afford legal services. Prior to becoming an attorney, Ms. Andrews worked as an assistant to a physician for several years. Her background in both law and medicine gives her a unique perspective from which to advocate for hospitals and health care providers.